Since Amazon and eBay opened their virtual doors in 1995, ecommerce has dramatically and forever altered the way we all buy things. And it’s changed just as dramatically the way that retailers manage their ability to find new customers and fulfill demand. 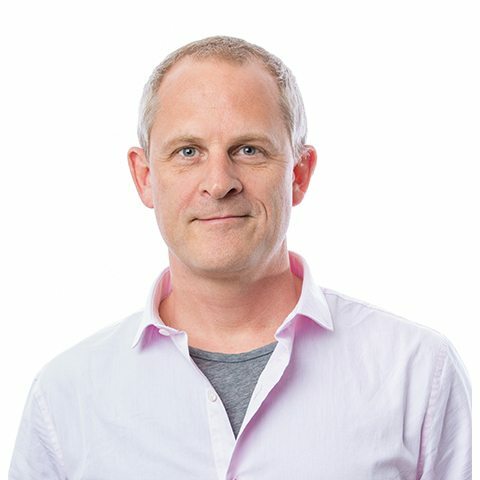 At Revolution, we believe that consumers and merchants are on the precipice of a new breakthrough in ecommerce that could be just as significant, with a new generation of companies making services available for sale online just as simply as Amazon has made things available for sale online. It’s now daily practice to use your smartphone to scan a barcode of your friend’s interesting product and have it show up at your doorstep the next day … or to hear a song you like, Shazam it, and have it delivered to your iPhone a minute later. And at the same time, merchants’ inventory systems have become fully integrated to fulfill orders quickly and automatically. It’s a win-win that has driven prices down and convenience up. Say, for example, you want to order a new Girls’ Lego set for your daughter’s birthday. From the consumer standpoint, it’s pretty simple. You go to Amazon, one-click purchase, and two days later it’s at your doorstep. But there is an incredible amount of merchant automation going on in the background, which the customer never sees, but is a critical enabler of ecommerce’s double-digit growth rate. Here’s what’s you don’t see: When you find the Lego set you like and click “buy,” Amazon determines your shipping address and auto-processes your order at its closest forward-stocking warehouse (I am in DC and my shipments are often stocked in Baltimore), where a pick-and-pack system pulls your order for shipping. The inventory level at the local warehouse is then reported up to the Seattle Headquarters where actual demand and inventory across the entire Amazon network are monitored in real-time. If your order exceeds Amazon’s demand models or depletes inventory below a calculated cushion, Amazon automatically sends an order to Lego, which then adjusts the production schedule at its fully-automated factory to build more Lego sets and ship them to Amazon. All of this happens in a blink of an eye. And a minute later you get an email with your FedEx shipping number, confirming that the Lego set will be there just in time for your daughter’s birthday party. As consumers have become more and more comfortable with buying online, this hidden merchant automation technology is the untold story behind the success of ecommerce. Indeed, it is so important that Amazon announced today the $775M acquisition of Kiva, a maker of pick-and-pack warehouse robots. Yet despite its convenience and value, ecommerce presently represents less than 10% of all retail commerce. A large reason for this small percentage is that while the Internet has changed how we buy things, it has yet to change how we buy services. And we Americans buy more services than we do things. Today services represent about $5 trillion of annual U.S. sales and have remained remarkably stable at about 40% of GDP (that’s about 2 times the size of nondurable goods GDP and about 4 times the size of durable goods). Services ecommerce is a huge, and largely untapped, opportunity. We believe that the ecommerce revolution is overdue to migrate to the services category and that soon, it will be as easy to buy local services online as it is today to buy a song on iTunes or a book at Amazon. This is why we have been actively backing great entrepreneurs and companies who are ushering in such change. From the consumer standpoint, the first breakthrough has come from the Daily Deal sites LivingSocial and Groupon (disclosure: I am on the board of LivingSocial and my partner, Ted Leonsis, is on the board of Groupon). For the first time, at scale, consumers can one-click purchase a local service – perhaps a spa treatment, a sushi dinner, or even an extreme driving and weapons training class. But, despite Daily Deals’ instant consumer satisfaction, automation for services merchants is still relatively unsophisticated and laborious, lagging far behind that of Amazon. Applications such as Groupon’s simple scheduling application announced this morning are relatively basic, yet they define today’s Daily Deals state of the art. This was our inspiration to lead the Series A investment in GramercyOne, which can be thought of as OpenTable for everything other than restaurants (disclosure: I am on the board of G1, as well). GramercyOne enables services merchants to turn their appointments into inventory, instantly bookable online by consumers and optimizable in real-time by local store managers. By providing an integrated commerce platform that encompasses scheduling, point of sale (POS), CRM, business management, and marketing, service merchants now have the ability to distribute their inventory, capture consumers online, sell their services, and build customer relationships through retention marketing. It’s a breakthrough idea that is quickly gaining momentum. Since our investment late in 2011, the company has grown its base to over six thousand local merchants and is already processing a volume of services approaching a one billion dollar annual run rate. That’s a drop in the bucket compared to Amazon’s path to $100 billion in sales, but it shows that consumers and merchants are hungry to fit the convenience of ecommerce to into more facets of their lives. With the innovations of companies like LivingSocial and GramercyOne, consumers are finally being connected directly to local merchants to find, book, and buy services they want online. Just like Amazon. But for services.